Leadership and members of the State Board of Education appeared to reach consensus at their meeting on Dec. 12 on a plan to recommend the classes of 2019 and 2020 be allowed to use the additional options for high school graduation created for the class of 2018, though a few tweaks are possible. But many on the board expressed hope for ultimately moving to a much different system of determining how students qualify for a diploma. Board member Rebecca Vazquez-Skillings, who chairs the board's Achievement and Graduation Requirements Committee, surveyed her colleagues on their willingness to recommend extension of the 2018 options and got a positive response, though some were hesitant to go beyond 2019 while others wanted to include the class of 2021. To allow final details to be ironed out, Vazquez-Skillings said the committee would defer voting Tuesday and instead put the full board on notice of a request for emergency consideration, so the planned resolution can pass both the committee and the full board in a single meeting in January. Board President Tess Elshoff said she's comfortable with the extension, but wants greater engagement with business representatives as discussions continue. Board Vice President Nancy Hollister likewise backed the extension, but said she'll be interested to see survey data the Ohio Department of Education (ODE) intends to collect on how schools and students are now making use of the new options for the class of 2018. Lawmakers enacted two new options for members of the class of 2018 to earn high school diplomas, after a special workgroup and the State Board of Education recommended additional pathways based on data showing substantial numbers of students were at risk of not graduating on time. The state budget bill, HB49 (R. Smith), creates two new graduation pathways for the class of 2018. - Earning a cumulative score of proficient or better on career-technical education exams or test modules required for the training program. - Obtaining an industry credential or credentials worth at least 12 points. - Completing 250 hours of workplace experience, documented by positive evaluations from workplace and school officials. Board member Stephanie Dodd said she favors the idea of offering consistency to schools by extending the 2018 options, even beyond 2020, but has heard from constituents that some elements of those options are not appropriate, such as using attendance rates as one measure of qualifying for graduation. But she said in the long-term, she'd like to devise a system that doesn't look anything like the current model or the three alternatives recently provided to the board in a concept paper prepared by ODE. Board member Antoinette Miranda said she also wants to extend the options, despite hearing from local officials that most of them are not actually useful. Volunteering and work experience are the only two options that are practically useful, she said she's been told. "I like the buffet style menu, giving choices, so students who are maybe weak in one area can possibly use another area," said board member Meryl Johnson. Board member Linda Haycock pressed for the January resolution to include a deadline on when the board expects to have developed a longer-term replacement for the current graduation system, so that parents, students and schools have lots of advance notice of what a new system will look like. 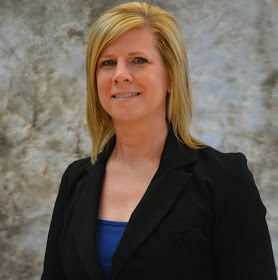 Board member Kara Morgan said she was swayed by other members' comments about the need for consistency, though she has concerns the 2018 options offer "a false sense of flexibility" in that they might be most useful to students who were already likely to achieve existing graduation requirements. She said she'd like to see the January resolution include language allowing pilots of alternative assessments. The State Board of Education has approved several Ohio Administrative Code (OAC) rule changes that now affect educators seeking supplemental, short-term substitute and alternative resident educator licenses. Another rule change will assist educators who have worked at schools out of state when they wish to renew their Ohio professional educator licenses. The Ohio Department of Education (ODE) has scheduled three information sessions across the state this month for those interested in learning more about Community Connectors, the state's mentorship grant program, in advance of the expected opening of applications for the next round of grants in February. The state has $8 million in available funding for the grants. - Tiffin -- Monday, Dec. 11, 1-3 p.m., Vanguard-Sentinel Career Center, 793 E. Township Rd. 201, Tiffin, OH 44883. - Archbold – Thursday, Dec. 14, 1-3 p.m., Northwest State Community College, 22600 State Route 34, Archbold, OH 43502. - Chillicothe – Friday, Dec. 15, 10 a.m.-noon, Adena Regional Medical Center, PACCAR Medical Education Center, 446 Hospital Rd., Chillicothe, OH 45601. To register, contact Nasrin Javid at nasrin.javid@education.ohio.gov or call 614-995-4018. Members of the Ohio Advance CTE/STEM Leadership Caucus met at Boeing, Aerospace and Tech Center in Heath Dec. 1 to discuss ways to increase acknowledgment that CTE encompasses the STEM disciplines; form more bonds between educators and business; and align education efforts with Ohio’s business needs. STEM is everywhere and so much a part of career-tech education that many people don’t realize CTE/STEM are one and the same, said Christine Gardner, co-chair of the Caucus along with Aimee Kennedy of Battelle. “Career-tech is STEM and vice versa, but the two have existed as separate ideas, even though they provide the same high tech education. One of the goal’s of the Caucus is to promote how integrated CTE and STEM really are,” Gardner said. Rick Platt, President and CEO, Aerospace and Tech Center, hosted the meeting and members of the Caucus toured the facility and gained an understanding of their workforce needs. Eric Burkland, President of the Ohio Manufacturers Association was a guest speaker. The Caucus was formed by US Senator Rob Portman. The application form for schools seeking STEM (Science, Technology, Engineering and Math] or STEAM (Science, Technology, Engineering, Arts and Math) designations is now available, the Ohio Department of Education announced. Schools seeking the designations should submit a letter of intent by 5 p.m. on Wednesday, Dec. 20, and final proposals are due by 5 p.m. on Friday, March 2, 2018. Applications are available at https://education.ohio.gov/Topics/Career-Tech/STEM. The Ohio STEM Learning Network is hosting a live webinar for schools interested in the designations on Wednesday, Dec. 13. Information about registering for the webinar is available at https://tinyurl.com/ydcxnyrr. Ohio high schools and career-tech centers can apply for $10,000 competitive grants to implement Advanced Career pathways in STEM fields during the 2018-2019 school year. Ohio and its partners – the Southern Regional Education Board’s High Schools That Work and a consortium of states – developed several career-tech programs aligned to the 21st-century workplace in multiple pathways. The grant must be used to implement new Advanced Career pathway curricula. A current grant recipient can apply for an additional grant to develop a new curriculum but cannot use grant money for programs it is currently implementing. To take advantage of this funding opportunity and adopt an Advanced Career curriculum, complete and email the response form, posted here, to Dan Stacy by Dec. 31, 2017. Please attach to the response form a description of the pathway your school has selected and how you plan to implement the course offerings. Responding schools must sign a memorandum of understanding outlining their commitment to training and other program requirements. Direct questions to Dan Stacy at (614) 644-6325. One of the ways to strengthen career-technical education in Ohio is by sharing knowledge, expertise and successful programs with other educators. 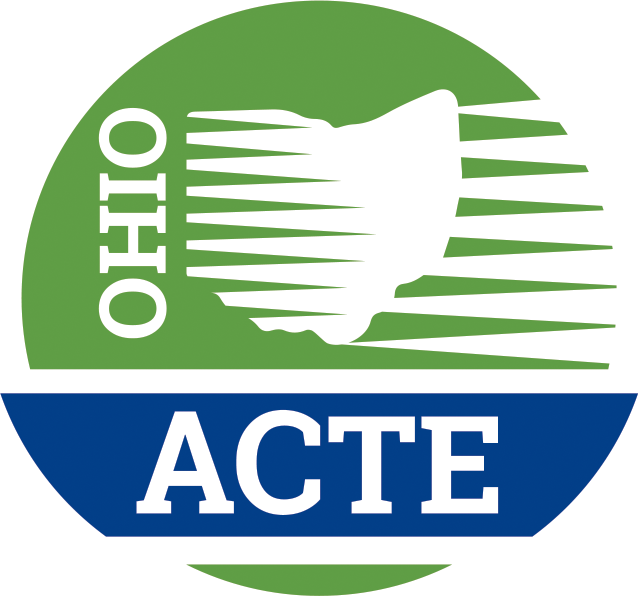 Connect with other career-technical and adult educators throughout Ohio by sharing your experience, wisdom and knowledge by presenting a 60-minute session at the 2018 Ohio ACTE Annual Connections to Education Conference July 23-25, 2018 at the Hilton Easton Columbus. Click here to complete the online proposal form. Proposals are due Jan. 31, 2018.